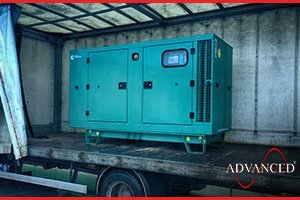 This Cummins 90 kVA Enclosed Diesel Generator was sold to a metal recycling company near Mansfield. The Generator will provide prime power for a scrap metal sorting machine. Another Advanced built high specification Telecoms set is despatched to an exchange near Hyde for installation. 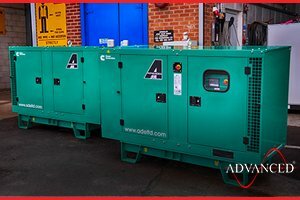 The 200 kVA Perkins Diesel Generator will provide backup power in the event of a mains failure. 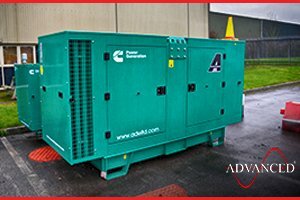 This Cummins 38 kVA Silent Diesel Generator was sold to a stainless steel fabrication company near Newquay. The generator will provide prime power to a small workshop. 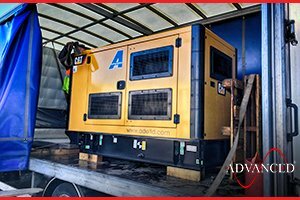 This 50 kVA Cat Enclosed Diesel Generator is on its way to a dairy farm near Hertford. The generator will be used to power a newly installed automated milking station. 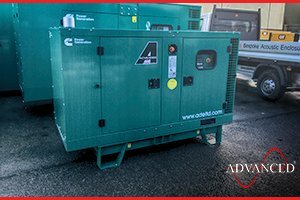 This Cummins 38 kVA Silent Diesel Generator is on its wat to an engineering company near Stafford where it will run a recently installed milling machine. 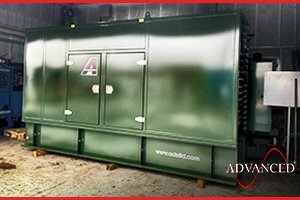 This special build stainless steel canopy encloses an 88 kVA Perkins Diesel Generator complete with 6,000 litre double skinned base fuel tank. The Generator will provide backup power to a telephone exchange close to the East Coast. 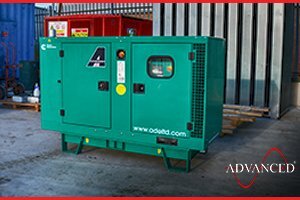 Advanced supply a Cummins 110 kVA Silent Diesel Generator to a Cryptocurrency Service Provider near Doncaster. 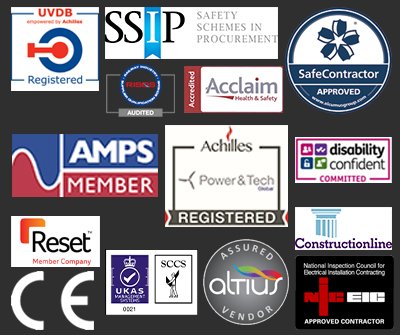 The Generator will assist the mains to power a vast array of servers that are used to 'mine' the cryptocurrencies. 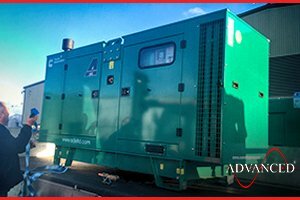 This Cummins 220 kVA Silent Diesel Generator is on its way to a brewery on the Isle of Man where it will provide critical backup power. 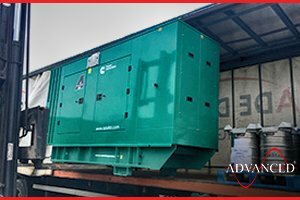 A Cummins 66 kVA Enclosed Diesel Generator sold to a UK reseller being loaded to transport. 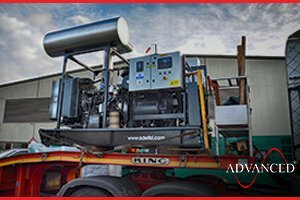 Two Cummins 33 kVA Silent Diesel Generators being loaded to the customers transport – the units will be incorporated into large mobile media advertising screens that will be used throughout the UK.